Helmut Wick was born on 5 August 1915 at Mannheim. On completion of his schooling, he began training as a forestry worker. Wick joined the new Luftwaffe in 1935. By April 1936, he had received the rank of Fahnenjunker and by July 1937, he had been promoted to the rank of Fähnrich. On completion of his training, Wick was assigned to II./JG 134 flying Arado Ar 68 biplane fighters. He was commissioned with the rank of Leutnant on 1 September 1938. In January 1939, Wick was transferred to 1./JG 53, flying the Messerschmitt Bf 109 fighter under the command of Werner Mölders (115 victories, RK-Br, killed in flying accident 22 November 1941). Wick was transferred to JG 2 on 30 August 1939. Leutnant Wick was assigned to 3./JG 2 and served with the unit in the air defence of Berlin during the Polish Campaign. He recorded his and the Geschwader’s first victory on 22 November 1939, when he shot down a French Hawk 75 fighter near Strasbourg, piloted by ace Adjutant Camille Plubeau (14 victories) of GC II/4, Armée de l’Air, who crash-landed, wounded. On 10 May, 3./JG 2 was relocated to the western front but Wick remained behind while his aircraft underwent an engine change. He finally arrived at the front on 21 May. Wick was particularly successful during the French campaign recording 12 confirmed and two unconfirmed victories, including four French fighters shot down on 5 June to record his fourth through seventh victories and his 10th victory shot down on 8 June. The two unconfirmed victories related to two Royal Navy Swordfish torpedo bomber biplanes shot down at the end of May for which he had no witnesses.Wick was to have continued success during the Battle of Britain. He was appointed Staffelkapitän of 3./JG 2 on 1 August 1940, although he had been leading the unit since 23 June. He recorded his 19th and 20th victories on 25 August and on 26 August claimed a further two to take his score 22.  For this feat, Oberleutnant Wick was awarded the Ritterkreuz on 27 August 1940. On 4 September 1940, Wick received promotion to the rank of Hauptmann and took command of 6./JG 2. He added six further victories with this unit to raise his victory total to 28. 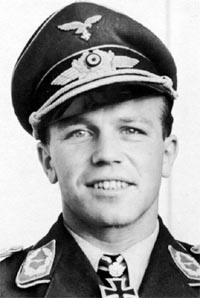 Wick was appointed Gruppenkommandeur of I./JG 2 on 9 September. On 5 October, he shot down five RAF fighters in the Isle of Wight area (37-41). This gained him the immediate award of the Eichenlaub (Nr 4). Further promotion followed and, at 25 years of age, Wick was the youngest Major in the Wehrmacht. Wick was appointed Kommodore of JG 2 on 20 October 1940, succeeding Major Wolfgang Schellmann (25 victories, RK) who had left to command JG 27. On 6 November, Wick claimed five RAF fighters shot down (48-52). On 28 November 1940, Wick achieved his 55th victory during an early sortie to become the leading fighter ace in the world. Later in the day, on a "Freie Jagd" over the English Channel, Wick scored his 56th victory, a Spitfire. In turn, his aircraft was shot down by British ace Flight Lieutenant John Dundas (13.333 confirmed, 2 probable and 4.5 damaged victories) of 609 Squadron, RAF. Wick was seen to bale out of Bf 109 E-4 (W.Nr. 5344) “Black < - + -“ over the Channel, his “Geschwaderstab Schwarm” mate Hauptmann “Rudi” Pflanz (52 victories, RK, killed in action 31 July 1942) circled the area calling over the radio that a “Spitfire was down” hoping to attract the British air/sea rescue. Pflanz continued to circle until his fuel was almost empty, crash-landing at landfall on his return over the Channel but Wick was never found. 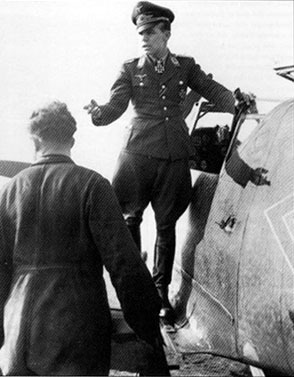 Helmut Wick was credited with 56 victories achieved flying 168 combat missions. In his score are 24 Spitfires.